Sometimes it can be difficult to find interesting and unique places when you travel but I’ve a couple of tools and methods I use that I’ll detail in a post soon! So I’ve visited Prague more times than I care to remember but previously I hadn’t really put much effort into looking for these interesting spots. I found out about this building after doing some research before the last trip and made a point of getting there around sunset to take some photographs. 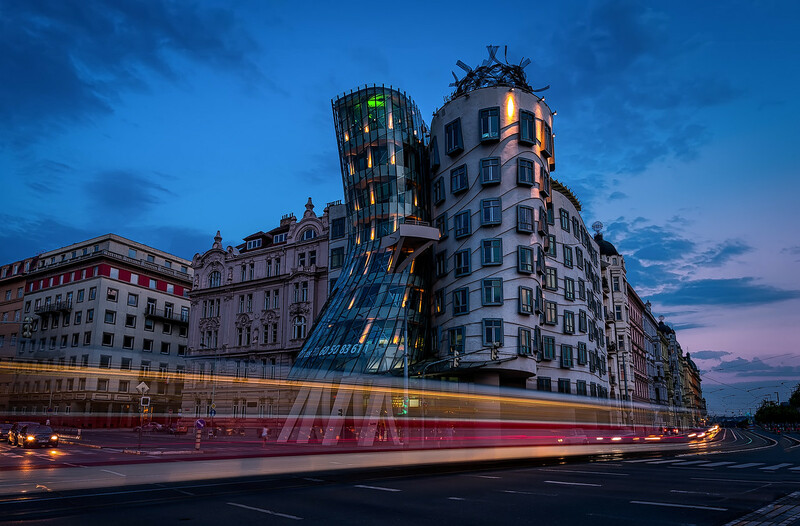 The building itself Is in the city centre of Prague, close to the river and was designed by Frank Gehry. 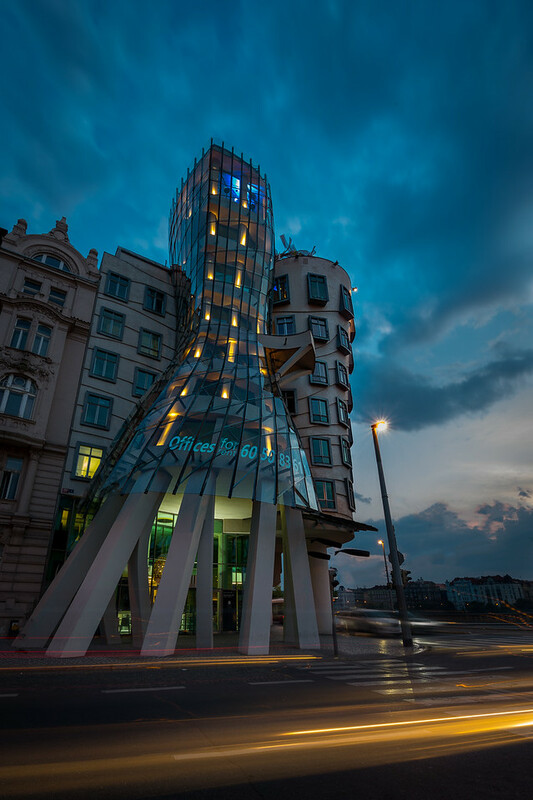 The building was designed to look like a couple of dancers and Gehry originally named it Fred and Ginger but this name is rarely used now. It stands out so much from the traditional buildings around it and was very controversial at the time it was built. It took pictures from a number of different angles but these were the only two compositions that I really liked. You can see there’s a tram track that runs along the road, with wires criss crossing the road. I chose to remove the wires in the foreground purely because they distracted the eye from the building which was the main focus. I’ll occasionally remove things from pictures if I think it benefits the overall scene. Some people really don’t like this but it doesn’t bother me too much as I’m not setting out to accurately document the scene but more create an artistic version of it.